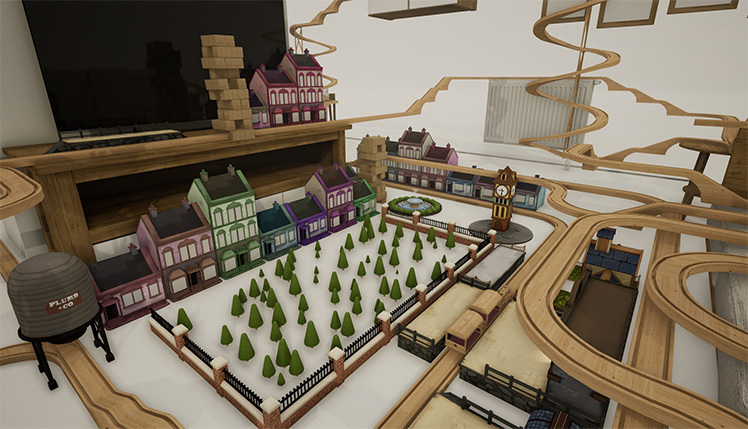 Developed by Whoop Group, Tracks is a building simulation video game, available for the Windows operating system. 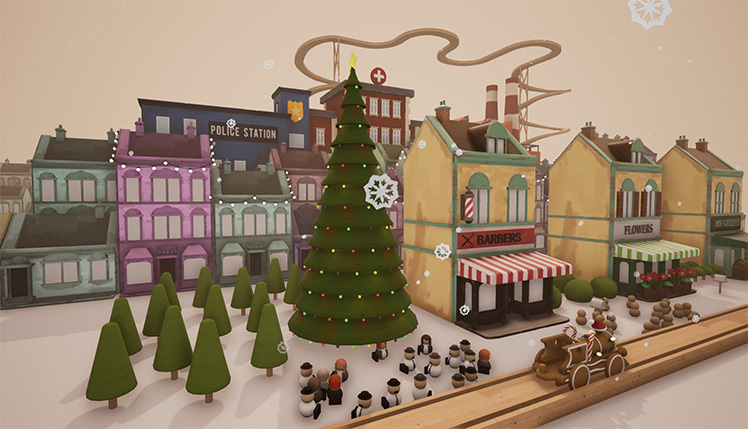 Players build the train rails of their childhood dreams with this expansive unique simulator. 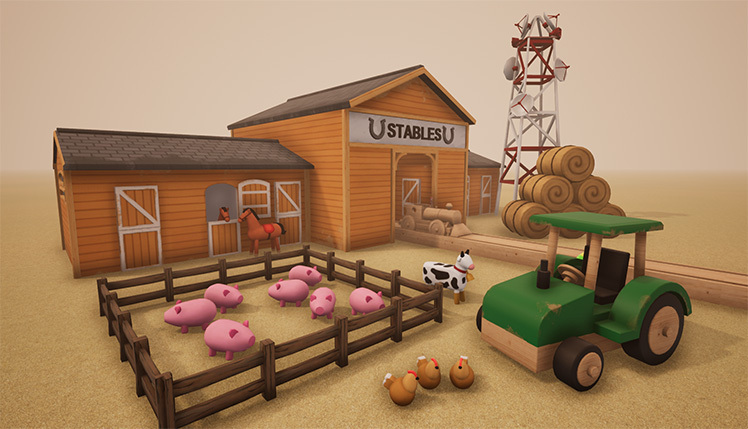 Though it is still in early development, the game promises a creative outlet for users of all ages. Perks of enjoying a game in early access include leaving important feedback as well as suggesting improvements or features directly to an open and expectant development team. Players get the chance to voice things they want to see in the game. This video game is no exception and has a thriving community full of suggestions and ideas. 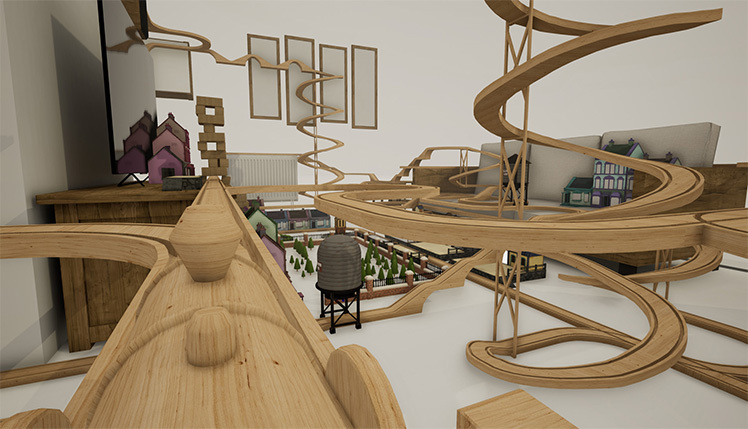 Train sets are easy to build in this relaxing simulator. Pick from a variety of pieces and snap together a path for locomotives to traverse. Build towns with seamless integration. The unique system takes the frustration out of searching for the right piece. Simply start building and the intuitive builder does the rest, laying down pieces for long stretches through forests or sharp turns between rows of buildings. 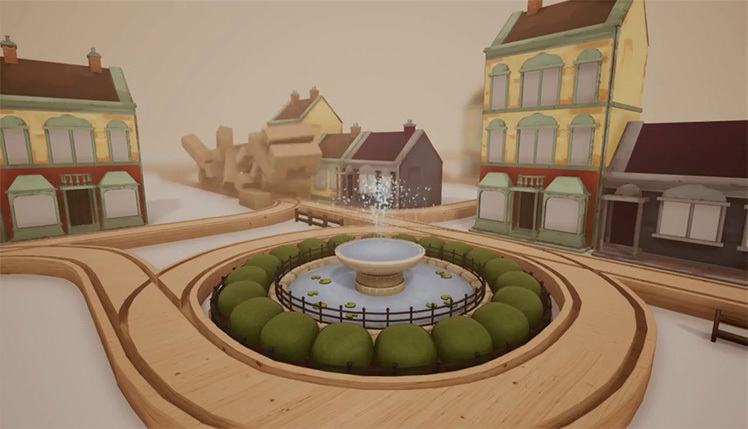 This video game has an experience trenched in nostalgia. It goes beyond the train sets of childhood, though. Players easily build routes by selecting a variety of pieces and snapping them together with simple, intuitive controls. Make multiple paths for trains to roll over and set up exchange stations. Trigger them with the click of a button. Use this method to create giant railroads. Experiment with non-traditional pieces like junctions and turns. The game's system helps predict where players might want to place these items. This makes it accessible to even amateur train enthusiasts. There are levels with objectives that players must complete. Unlock new pieces by successfully meeting these challenges. Take a spin in the free mode. Play with unique physics that aren't possible with physical train sets. Launch machines in perfectly planned jumps over tall buildings with no fears of crashing. 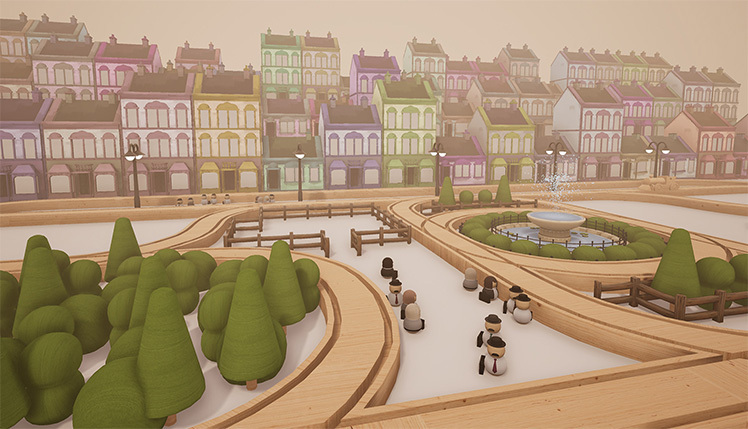 Build entire towns with housing, scenery, and even adorable people waiting for the train at the station. Stack woodblock towers on the tracks and watches trains barrel through. 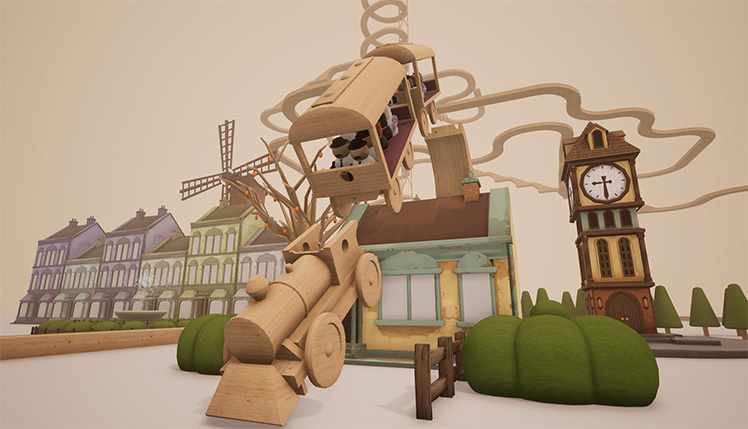 Watch the ride in the third person or take part in it directly with the first-person view. The music adds another layer to an already abstract adventure. 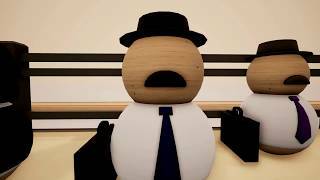 This video game is in early development but currently has lots of features available. It is praised as a superbly relaxing experience. 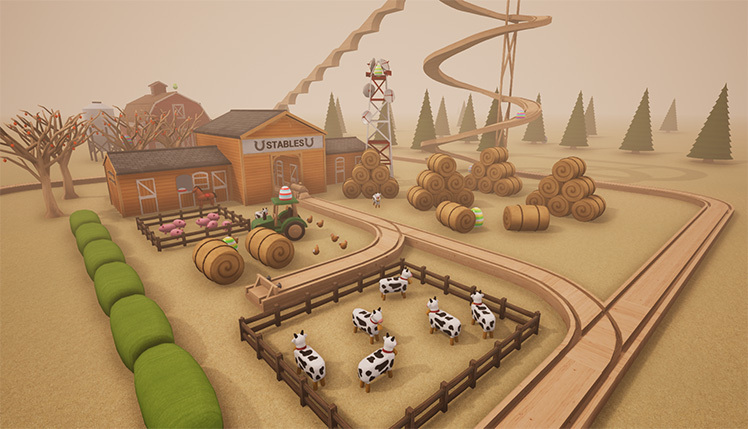 Players use creative ideas to make complex rails for their trains to ride. 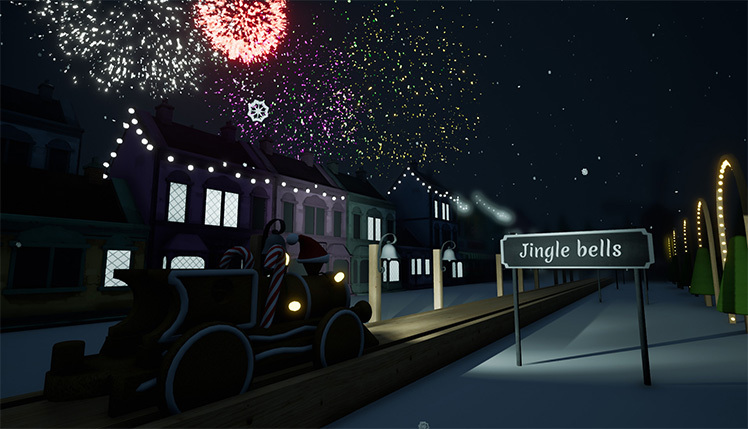 Get a heavy dose of nostalgia and use original train set pieces or go for something more unorthodox. With much more content promised to come, users from all genres will surely find something to enjoy in the sublime simulated world. 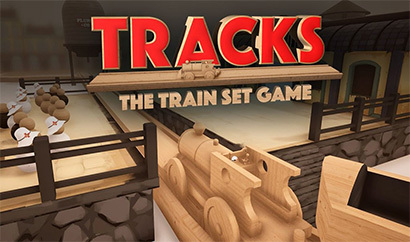 Build the train tracks of your childhood dreams in the expansive train simulator, Tracks. © 2018, Whoop Group. Whoop Group logo, Tracks, the Tracks logo, are trademarks or registered trademarks of Whoop Group. in the United States of America and elsewhere. All rights reserved.